Q: When will there be a picture of this bible? Perhaps an excerpt? Before I purchase, I would need to see what it looks like and the font size - the term "compact" may indicate that it would be too small, but I just want to be sure.Thank you! 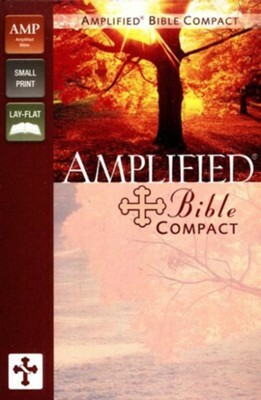 - Compact portable size with flexible softcover binding. I'm the author/artist and I want to review Amplified Bible Compact, Italian Duo-Tone, Purple Metallic.